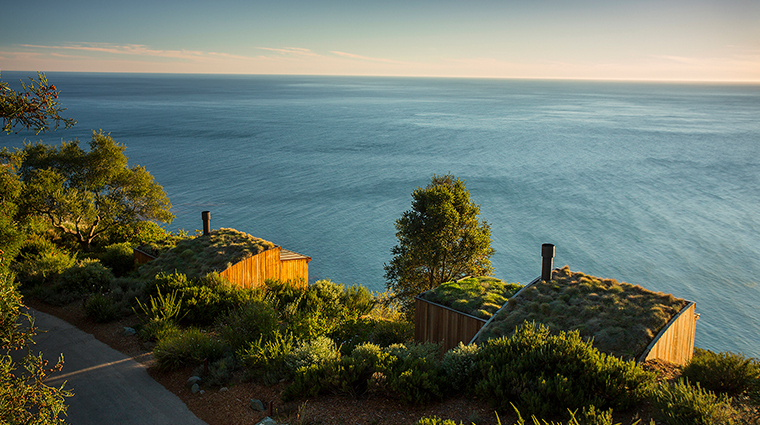 Perched on a cliff overlooking Big Sur’s rugged coastline, Post Ranch Inn is an ideal romantic getaway. 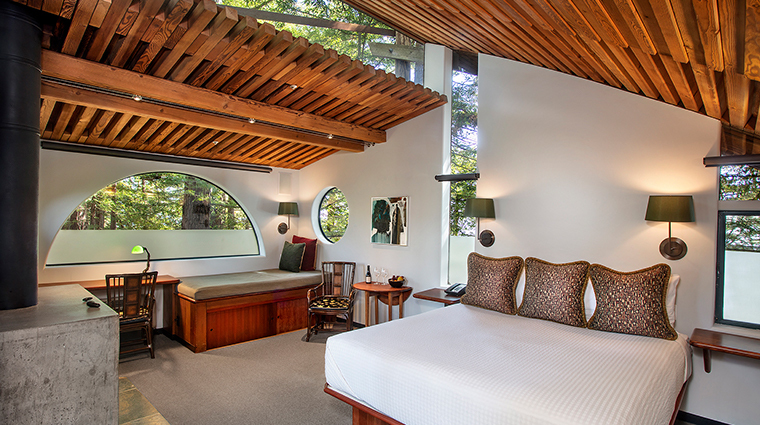 Designed to blend with the Santa Lucia Mountains, the buildings resemble sophisticated treehouses. Each of the 40 guest rooms has an ocean or mountain view. However, you may not spend much time in your room with the hotel's extensive activity list. You'll find daily yoga classes, guided hikes in the beautiful natural setting, stargazing, and tours of the garden. What you won’t find: TVs or alarm clocks. 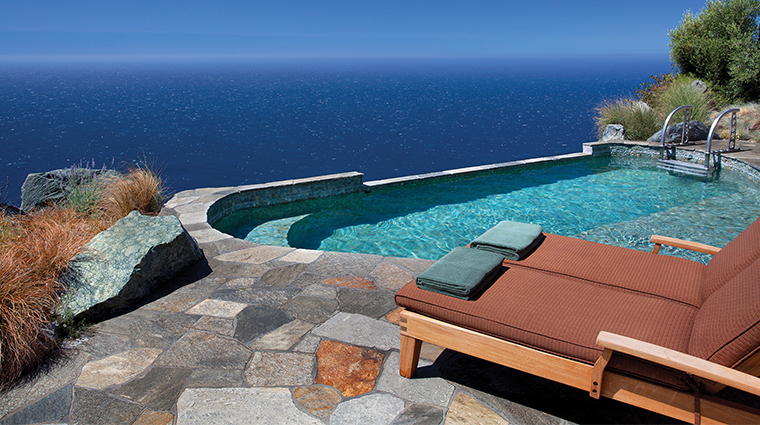 Wake up when you want to and head to the spa or one of the swimming pools (we recommend the infinity pool). The Sierra Mar Restaurant is superb and has an extensive wine list. 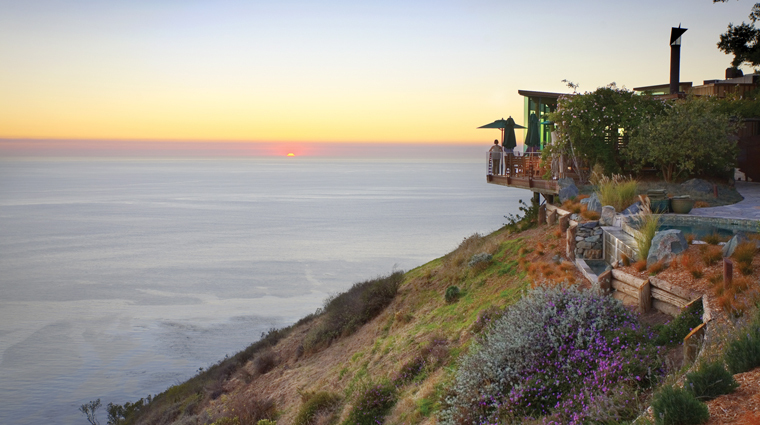 Post Ranch Inn is perched on a cliff along the beautiful Big Sur coast. The views of the coastline are breathtaking and give the entire property a serene, rustic feel. While staying at the Forbes Travel Guide Four-Star hotel, you’ll enjoy an intimate experience being 150 miles south of San Francisco and 300 miles north of Los Angeles. If you’re looking to get away and enjoy Mother Nature, this is the place to do so. Although it’s secluded, you’ll never get bored as Post Ranch Inn offers countless activities for guests, and you can enjoy activities nearby such whale watching and perusing the various art galleries. With its secluded location, Post Ranch Inn doesn’t offer a variety of bars, but instead, sit back and sip a glass of wine while enjoying breathtaking views of the coastline and the beautiful mountains. Whether you’re a wine enthusiast or just want to learn more about wine and experience something new, the Forbes Travel Guide Four-Star hotel's restaurant, Sierra Mar, features a wine list that will certainly have something that will please you. The wine cellar at Sierra Mar offers more than 13,000 bottles and 2,600 varying selections, including both new-world choices and old-world choices. The 40 guest rooms at Post Ranch Inn each offer views of either the ocean or alpine slopes. Furnished with a king-size bed, rooms include a wood-burning fireplace, indoor spa tub, private deck and digital music system. The wet bar and minibar are filled with complimentary snacks, juices and half-bottles of red and white wine. When you enjoy your libations, don't worry about distractions. The hotel is 18-plus, no kid-related noise will be anywhere near your room. Post Ranch Inn’s Four-Star restaurant, Sierra Mar, features a sophisticated atmosphere with natural charm. It’s dedicated to quality, just like the inn. Chef Craig von Foerster serves up seasonal cuisine and offers a four-course prix fixe menu that features only the freshest ingredients. For lunch at the Forbes Travel Guide Four-Star hotel's restaurant, you’ll find classic items with an upscale twist such as the roast free range turkey salad sandwich with a rosemary aioli and spiced almonds served on sourdough bread or penne with sausage and fennel roasted tomato, garlic, and parmesan cheese. At dinner, you’ll find dishes such as saffron seafood soup with fresh gulf prawns and wild salmon; and grilled rib eye steak with gruyere potato gratin, bordelaise and chôron sabayon. Regardless of when you dine, Sierra Mar’s menu features the freshest seasonal, local ingredients, with menus changing daily.